Changjo was born on 16th of November, 1995. He has an older sister who will be graduating from her high school this year (2011). He wanted to be a bodyguard. He’s in level 4 if you combine his experience in taekwondo and jeet kune. 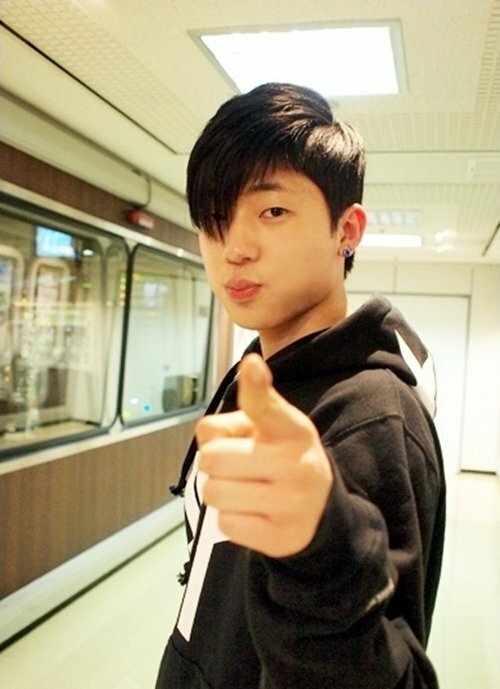 His memorable song is Be On You by Florida (feat Ne-Yo) because he used that song to pass the audition. He thinks that he would get hit before he get a chance to defend himself in a real fight. His sister has no interest in his singing activities but lately she’s been asking what he will be doing. His hobby is to come up with a choreography. He wants to create a powerful dance number with a song written by L.Joe. His feels that TEENTOP have a lot in common with INFINITE. They talk and listen to one another on how to synchronize their moves. He thinks he grew about five centimeters since he made his debut because he hit puberty. He & Chunji competed during MBC’s “Idol Star Athletics Competition” but they were eliminated during the preliminaries.